The OnePlus 5 is easily one of the most anticipated Phones of 2017, and the company is constantly promoting the device, which suggests a launch is imminent. OnePlus CEO, Carl Pei, teased users with a riddle. The tweet asked "Why did the headphone jack cross the road? ", to which many people correctly guessed that the device will have a headphone jack placed on the top, instead of the OnePlus 3/3T's bottom facing one. Pei almost confirmed it in his next tweet, when he mentioned "Looks I gotta be more careful with my tweets". It also serves as confirmation that a headphone jack exists. But does this mean that the device will not be water proof? It might be so. 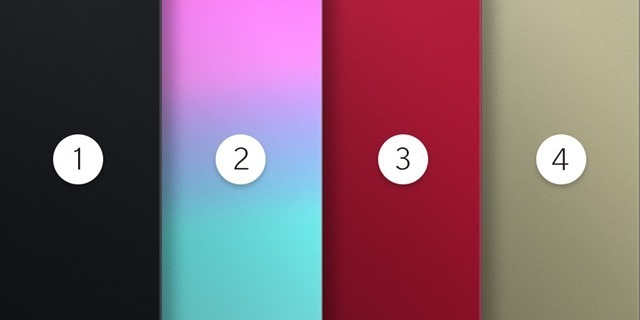 OnePlus' official Twitter handle, teased a picture of a device's back panel in 4 colours, along with a question which asked “What 5hould the color of your next phone be?” Note that the should in the question, is spelled with a 5 instead of an S, and this is a clear indicator that it was promoting the OnePlus 5. Pei retweeted the picture with the number 5, suggesting that the OnePlus 5 could come in 5 color variants. While the Black, Red and Gold colours look realistic, the 2nd one with a combination of gradients light blue and purple looks a bit odd. We still don't have a launch date for the OnePlus 5, but from all these teasers, it can't be all that far away. OnePlus 5 colours teased, and a storng possibility that the headphone jack is now on the top.